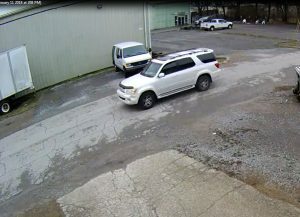 *SOLVED*Help us ID this Pallet Thief! On February 3rd and again on February 10th the above pictured white Toyota Sequoia (2003-2007 model) with tinted windows stole a load of pallets from the Maple St. area of Hendersonville. HPD needs your help identifying this person. TWO Bank Robberies within minutes. 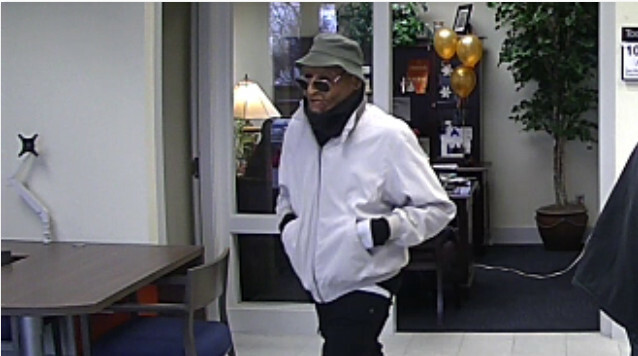 On February 10, 2018 at approximately 12:44pm, a person robbed the Suntrust Bank at 221 East Main Street, Hendersonville. The suspect was wearing a mask and a floppy hat, tan jacket and dark colored pants. At about 12:56pm the same person robbed the Bank of America at 451 West Main Street. No one was injured in the robbery and the suspect took an undisclosed amount of money. There were two vehicles that were seen in the area during the robbery. One vehicle was a black sedan and the second was a red vehicle with a camper shell. There are several people in the area of the robbery at the Bank of America during the incident. If anyone saw this suspect they are encouraged to contact the police department at 615-264-5303. 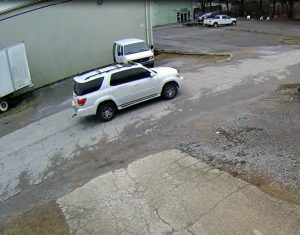 Anyone with information regarding this or other crime is encouraged to call the Hendersonville Crime Stoppers at 615-573-5400. Complaint numbers 18-00937 and 18-00938.